Important Notice: Please note that we do not have changed our banks accounts. If you receive any email or other notice to transfer your funds to a different account than you are used to, please don't do so. 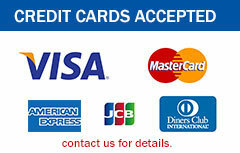 You can verify our bank details here. 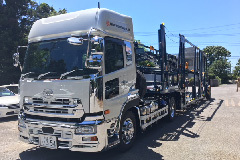 Brand new Nissan UD heavy duty car carreer joined Sayuri's tranport fleet today. 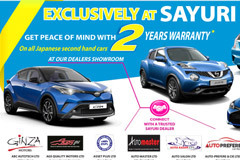 The new carrier will mainly serve to deliver cars from Auction to Sayuri Yard and Sayuri Yard to nearby shipping ports. 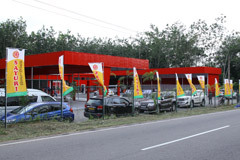 Two Year Warranty for Japanese Vehicles Selling in Mauritius by Sayuri Related Showrooms..
Sayuri's road-worthiness inspection facility has been approved by JAAI ( JAPAN AUTO APPRAISAL INSTITUTE ). 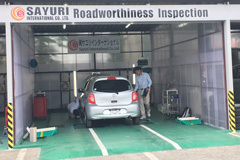 And, it has been functioning as on of the JAAI inspection centers in Chiba Prefecture since last week. Enter chassis Code and Number seperately.